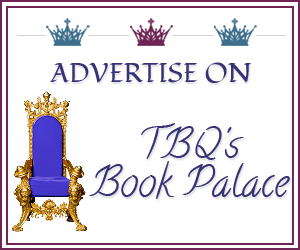 TBQ'S Book Palace: Welcome to Ink Readers! Currently on hiatus. I'm not sure when I'll have the time to return to this project. I've been talking about it for quiet some time, but finally it is here! 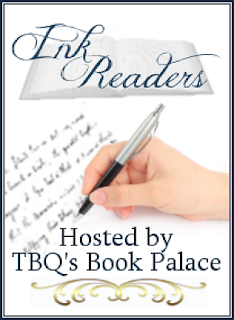 Welcome to Ink Readers, a pen-pal program for book lovers! Ink readers is a program for book lovers which allows you to connect with and share bookish things with other readers! But instead of doing so through the many social media ways that we have available, we shall instead be taking a page from the past---letters! How do I join Ink Readers? In this age of technology, no one writes letters anymore---most children, in fact, never even learn how to properly write one! And I think that is a shame because writing a letter is so much more personal and interactive than any text, Tweet, "like", comment or email ever dreamed of! I think it is time to take back the hand-written letter, and what better way than by writing to fellow readers, people who know what it's like to fall in love with a book, people who have similar taste in books as you do. Something that many of us, including myself, may not have access to locally. So you are interested in joining, hm? Great--welcome aboard, I hope you enjoy this new program! There are no real "requirements" to join. I do ask that you are over 18 (for legal protection); that you enjoy reading and talking about books; and most importantly that you have fun! I don't want this to become something you dread or wish to stop, but if you do, I understand! Below you will find the links for joining. One will take you to the page to sign up, the other is the page where you can see who else is participating. Since I know I don't want my mailing address online, yours won't be either. Instead, you will only enter your name, email, blog (if applicable), country, as well as the genres you read. If someone wishes to correspond with you, they must email you first. If you wish to write to them, you may then give them your full information that way. If you feel like the person asking for your address is a bit..shady, you have the right to say "No" and end it there. I hope that it doesn't happen, of course. One more thing--genres. I know everyone reads different books, which is great! But, unless your pen-pal has said it is okay, let's stick to the genres you have in common. I only mention this because, for example, not everyone loves erotica, and I am sure there are some YA readers who do not want to hear about the latest kink you read. Which is fine, as we all have the right to say what we are comfortable (and uncomfortable) with reading. So please check all the genres that you would like to talk about, and go fourth and begin your pen-pal journey! You may write to as many readers as you want, as often as you want, there is no limits or minimums. Find a new friend or develope a deeper friendship with someone you already know, all through the love of reading! 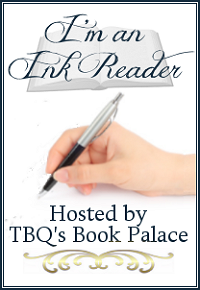 Join the GoodReads "Ink Readers" group! At the beginning of the post is the official Ink Readers graphic. It is meant for me to use while promoting the program. However, if you want to show off your Ink Reader status, below I'm including the code for you to grab your own "I am an Ink Reader" button. 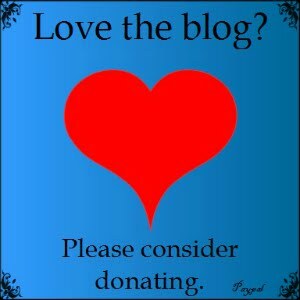 You can put this on your sidebar, Facebook, Twitter--it doesn't matter. Please make sure that anytime you use the button that you link back to the Ink Readers main page. Thank you in advance! NOTE: I am not responsible for anything written or sent within this program. All I can do is provide a place for readers to meet other readers. If you choose to do the program, know that any correspondence is between you and your penpal(s). I am not to be blamed for someone suddenly stalking you--you gave your address to the person willingly, I did not. I hope that nothing like this ever happens, but I have to be honest upfront to protect myself. Also, postage, shipping, etc, is your responsibility. This is, of course, a free program to join, but sending letters do cost money, though, thankfully, not too much. Have fun, I hope you meet new readers and share the love of reading with others! Questions, comments, concerns? Please contact me directly! *Graphics made by JennJ from Sapphire Designs. LOVE them, thanks again Jenn! What inspired you to do the program? :) Partly from when we started writing letters, though I had considered it before then. I've met a lot of wonderful readers online, but sometimes trying to keep up with three or four conversations on Facebook is next to impossible. And so the idea of pen-pals was born. Thanks for spreading the word! :) Don't worry about it, I understand! :D But if you ever do wish to join in the future, Ink Readers will always be open to new members! I love this idea!! I just signed up for Ink Readers and I hope to hear from people soon. Ahh I absolutely gushing over what an awesome idea this is!! Thanks for joining the group, Jade! :) I hope you enjoy Ink Readers!